After chance-meeting actor Christopher Walken at a party several years ago, EAF16 artist Bryan Zanisnik “knew that I wanted to create a sculptural work about him.” So when Socrates Sculpture Park launched an open call to artists asking them to respond to its site and Queens community, Zanisnik knew he wanted to focus on Walken, who was born in Astoria and whose family owned ‘Walken’s Bakery’ for many decades nearby on Broadway. With this history in mind, Zanisnik imagined a scenario in which the iconic actor’s DNA has leaked into the neighborhood’s soil and resulted in the sprouting of Walken “mushrooms” at Socrates. The final piece is titled Monument to Walken and became an Instagram sensation upon the exhibition opening. 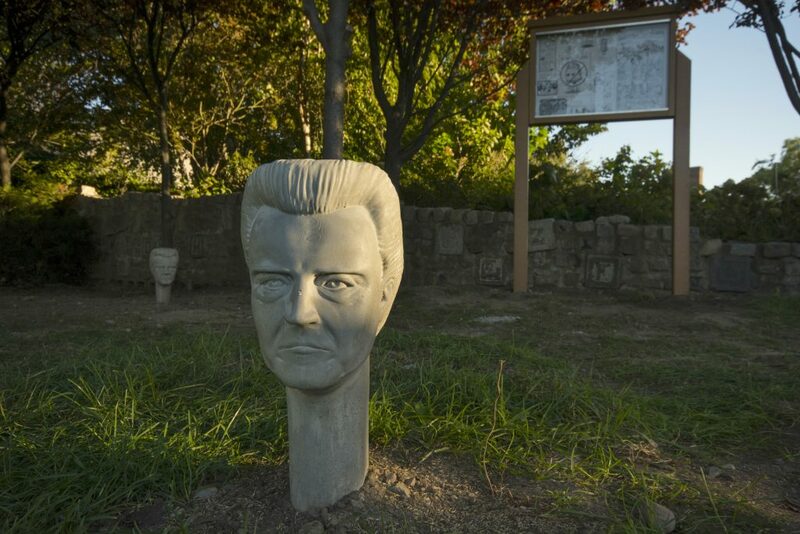 Zanisnik’s project features a series of realistically proportioned cement heads, bearing the distinctive likeness of Walken, which are anchored in the earth by neck-like pillars. The heads are scattered low-to-the-ground beneath the shade of some trees, a configuration that – as the artist intends – resembles the growth of wild mushrooms. 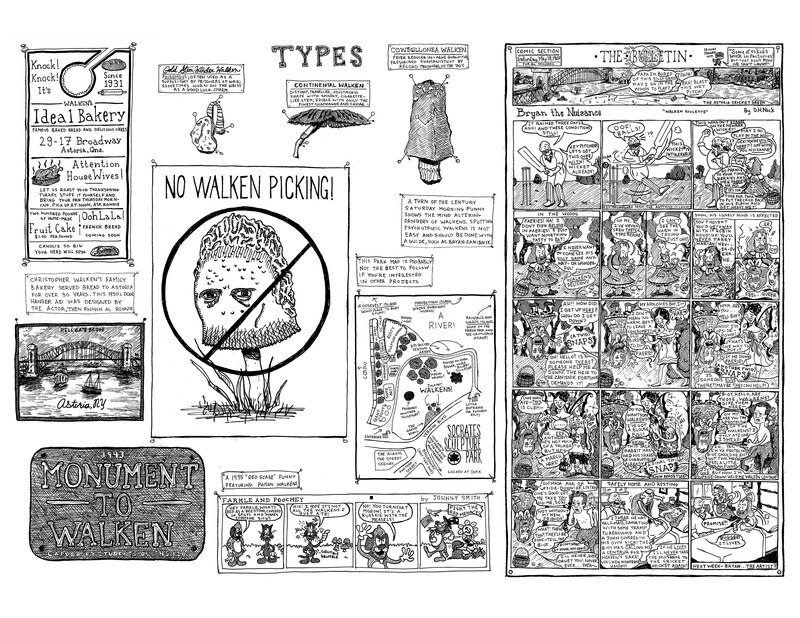 Zanisnik also partnered with artist Erik Winkler, who created a Walken-inspired comic housed nearby in a trailhead-style information display case. Zanisnik’s overall artistic practice is tied to, in his words, “a vested interest in American culture and identity, as influenced by my growing up in the suburbs of New Jersey.” In that context, his piece at Socrates can be read as a whimsical re-imagining of the quintessentially American phenomenon of building monuments to celebrities in their hometowns.